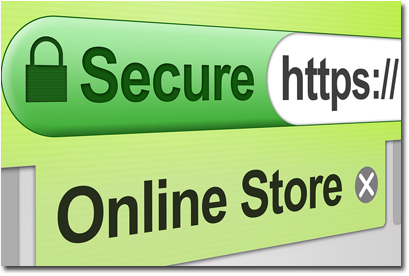 Our website uses full SSL (Secure Socket Layers) we have a secure SSL certificate which means our website is secure throughout the whole site and not just the checkout pages. You will see your browser starts with a green padlock and says secure https:// this means your on a secure page, just like in the example image on this page. Powells Aromatherapy site is fully secure. We accept most UK Credit and Debit cards including Visa, Mastercard, Maestro, Switch, Delta, Solo, Visa Electron, Nochex and Paypal. You may send your credit card information by post if you prefer. We also accept cheques, postal orders and cash by post. Simply order online but select credit card details or cheque etc sent separately at the checkout. Full details on where to send your payment to etc are given at the end of the checkout. Please note: You do not need to have a paypal account to make a payment using your credit or debit card via paypal as a guest. Powells Aromatherapy will never at any point see your credit or debit card details when making a payment using your credit of debit card on this site, as this information is between you and your own bank or credit card company and if used, paypal. We use Nochex to process credit and debit cards, customers are passed to a Nochex securely hosted payment page where you can securely make a payment using the latest credit card security standards. Nochex adheres to the internationally recognised card industry security standards for card security as set out in PCI DSS. Nochex is Level 1 compliant (the highest level attainable). All information collected by powells aromatherapy is stored and handled in accordance with the Data Protection Act 1998. Personal and financial information collected on this site is used for the sole purpose of processing and delivering your order. What are cookies? Do you use them on your site? A cookie is a text only string of information created by a web site on your computer. The web site uses this cookie to identify you when you return to the site. Our cookies cannot harm your computer and do not contain any personal or private information. A cookie typically contains the name of the domain from which it has come, the "lifetime" of the cookie, and a value, in our case a randomly generated unique number. Most computers are sold with cookies enabled, but you can set your computer to disable cookies if you prefer to. However, you should be aware that just like most other websites the powells aromatherapy website will not work without cookies - you will not be able to login or purchase products if you have disabled cookies. Cookies may also be used in the following ways: To allow us to match promotions and special offers to your preferences or to avoid showing you promotions repeatedly. To compile anonymous, aggregated statistics that allow us to understand how users use our site. This helps us to improve the efficiency of our website for visitors and users. Two types of cookies may be used on this website: Session cookies - temporary cookies that remain in the cookie file of your browser until you leave the site. Persistent cookies - remain in the cookie file of your browser for much longer (though how long will depend on the lifetime of the specific cookie). Your name and address, a contact telephone number, and an e-mail address. We keep this information on a secure data system, which is not accessed by anyone other than powells aromatherapy. We keep a record of any correspondence you send us including e-mail messages as this helps us to track any problems or concerns you may have. We also keep a record of your purchases with us so that we deal quickly with any issue you may have about your order. Enabling us to tell you about any special offers or promotions or company news that we feel may be of interest to you, but this is only where you have given permission. You may unsubscribe from receiving such information and offers at any time by emailing to powellsaromatherapy@gmail.com and stating that you do not wish to receive any emails from powells aromatherapy. Enabling us to contact you (and to ask for your permission to be included if we are planning any market research) so that we establish what you like or don't like about our products and service planning our future product purchases so as to try and meet your requirements going forward helping us to understand the shopping behaviour of our customers so that we can send you the most relevant information and not waste your time and our money. We may share email contacts with any of our sister companies but please note powells aromatherapy.co.uk never share your personal contact details with any third parties. We regularly review this policy to ensure that we continue to comply with all the necessary regulations and give you the utmost confidence in the management of our data.